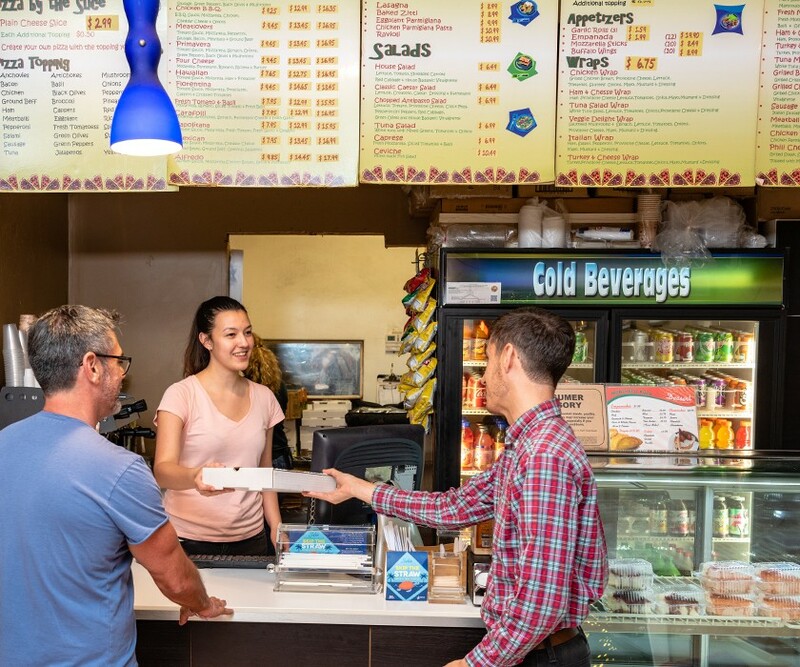 This compact, family-run Italian pizza counter serves up a variety of fast Italian classics including pizza, sandwiches, salads and pasta for takeout or delivery. 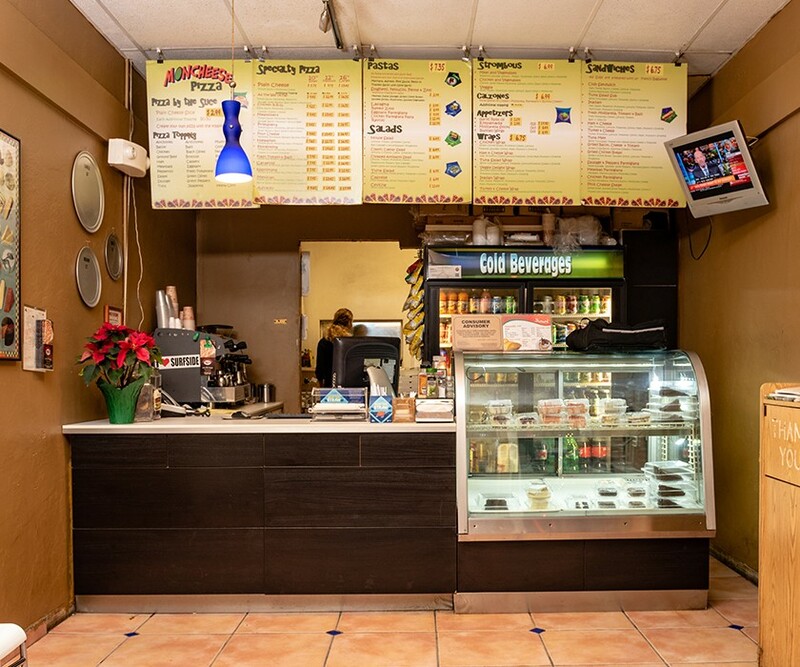 The large menu has an array of delights, including pizzas whole or by the slice. Styles vary from the gold standard Margarita to the flavorful Chicken Alfredo, which blends a classic pasta dish with a pizza base. For Italian stapes, there’s the three cheese calzone, a sought-after meatball sub and baked ziti. The portions are large and the service swift. 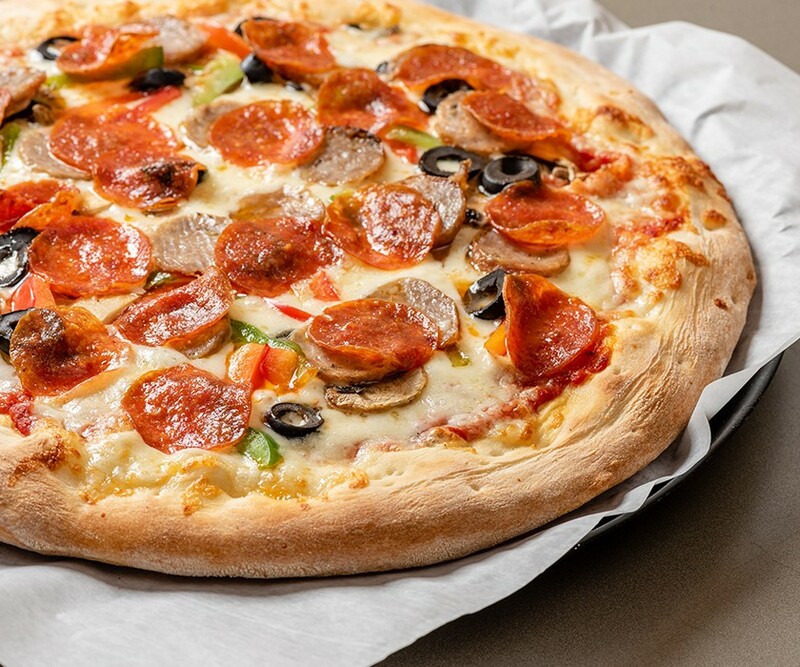 If you’re looking for a solid meal, bring your appetite to Moncheese Pizza.